When it comes to Grandparent presents, homemade holiday gifts is our favorite way to go. However, living 3,000 miles away from them means shipping is a must. 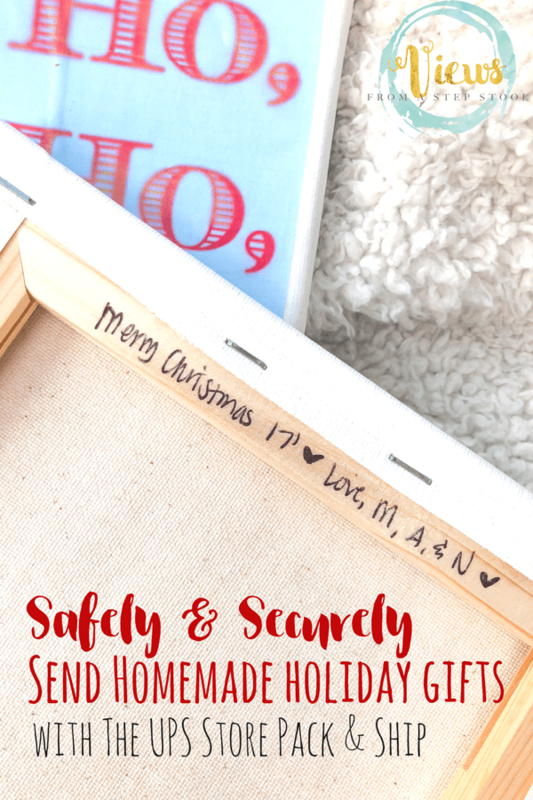 Some of our favorite DIY gifts include salt dough ornaments, painted vases, and handprint and footprint art! Check out what we shipped this year, and how the entire process only took 5 minutes! 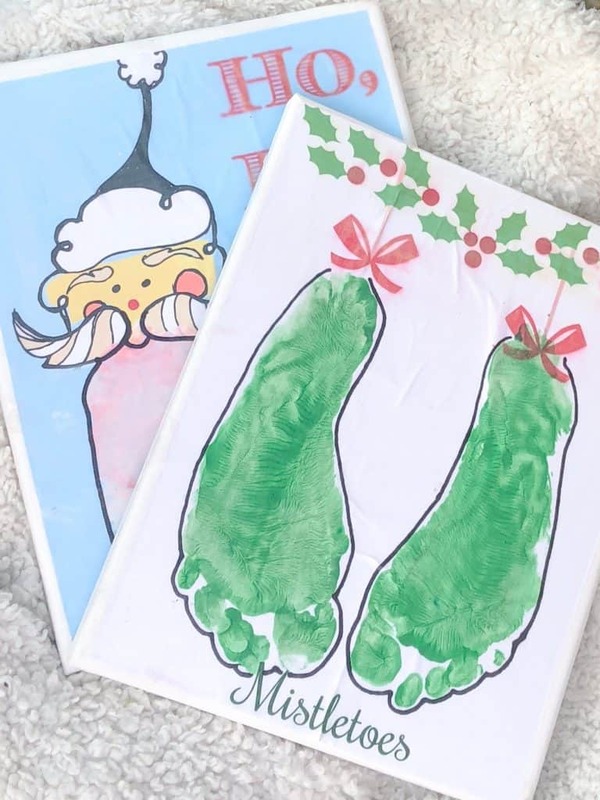 This year, we used our handprint and footprint art printable templates to create Christmas-themed works of art for the grandparents. 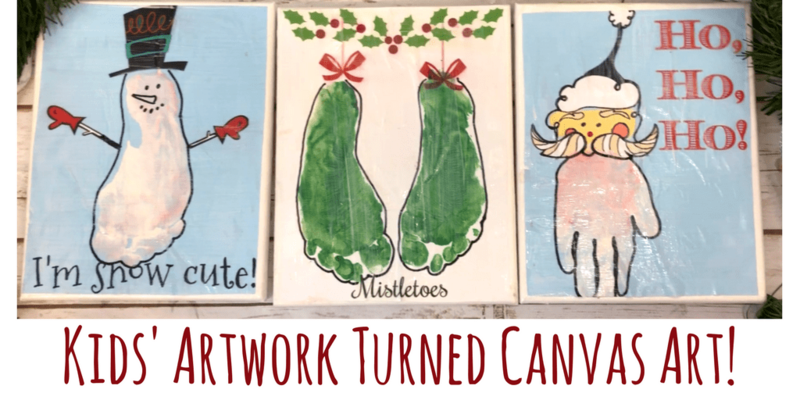 To turn these into a homemade holiday gift, we put them on canvases to create keepsake art that can be displayed year after year! 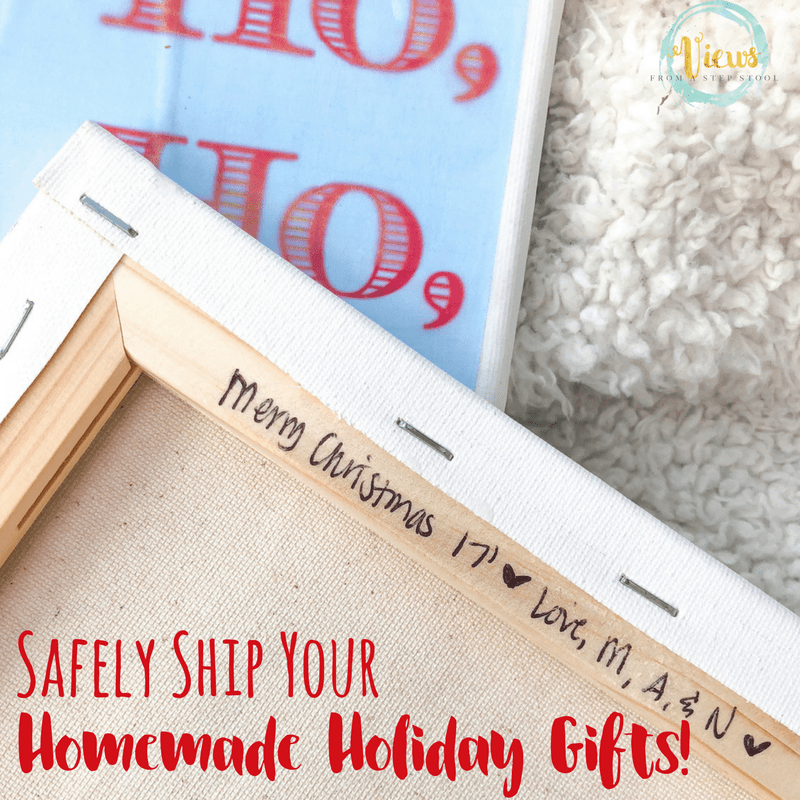 Shipping keepsake gifts can be nerve-wracking during the holidays, especially is your homemade holiday gift is fragile. The UPS Store offers Pack & Ship services, meaning all you have to do is bring your item to the store and let their packing experts do all the work for you! This guarantees that your items will arrive safely and securely, a really nice guarantee for your one-of-a-kind gift. 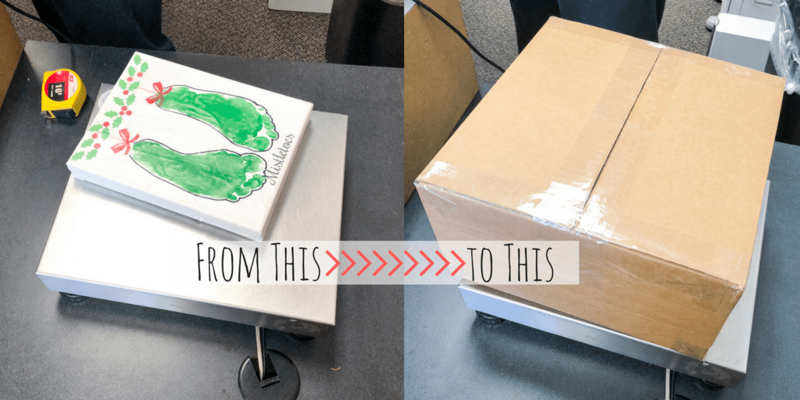 Check out the photo below, I brought my items to the store just like this, and voila – in less than 2 minutes they came back safely packed and ready to ship. Why do it yourself when you can save time and have one less thing to worry about? The professionals at The UPS Store handle the logistics of packing and shipping your holiday gifts, and it’s backed with the Pack and Ship Guarantee, if an item is somehow lost or damaged you will be reimbursed the cost of packaging materials and service, as well as shipping costs. You know what this really meant for this busy mom? One less trip to the store with three kids in tow to buy packing supplies, and then ZERO time spent making sure it was safe and secure at home while my kids argued over who was going to pop the bubble wrap and use the scissors. WIN. 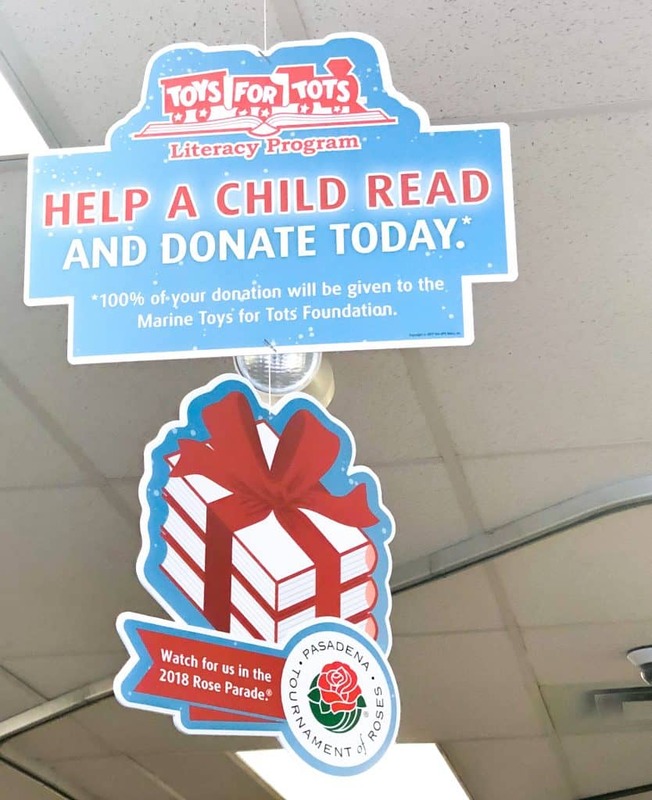 While you are at The UPS Store, be sure to consider the Toys for Tots Literacy Program. It’s a wonderful opportunity to give back this holiday season, and, if you have your kids in tow, in an great way to involve them in giving back as well. Through Dec. 31, participating The UPS Store locations will support the Toys for Tots Literacy Program with an in-center donation card drive. Every donation helps purchase books for local children in need, making it easy and inexpensive to share holiday joy with those less fortunate. 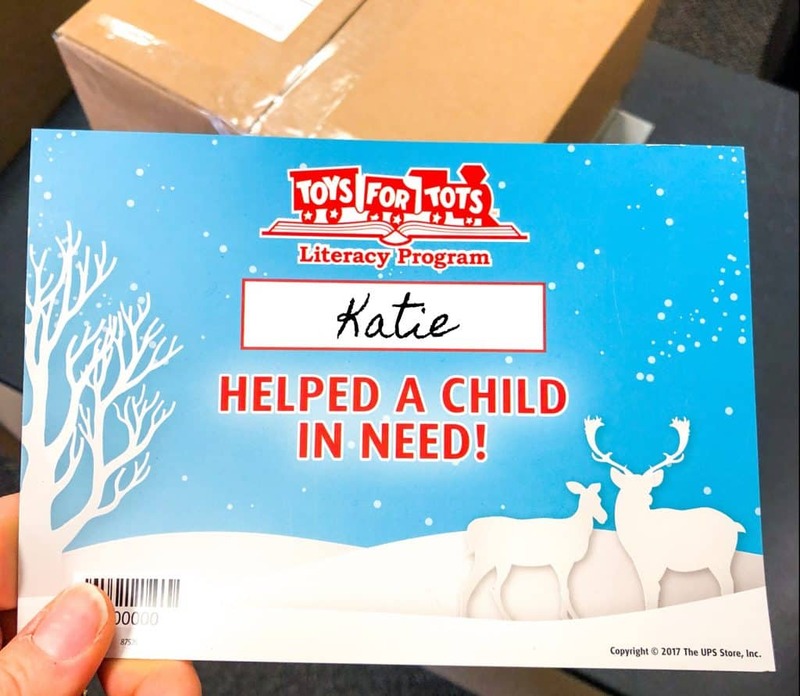 The Toys for Tots Literacy Program provides you a great opportunity to teach your children a valuable lesson about helping those in need. For the second year in a row, The UPS Store will have a float in the Tournament of Roses Parade® on New Year’s Day. Our 2018 float promotes the Toys for Tots Literacy Program with a “Books Bring Dreams to Life” theme. Tune in on Monday, January 1, 2018 to watch the parade, which starts at 8 a.m. PST. 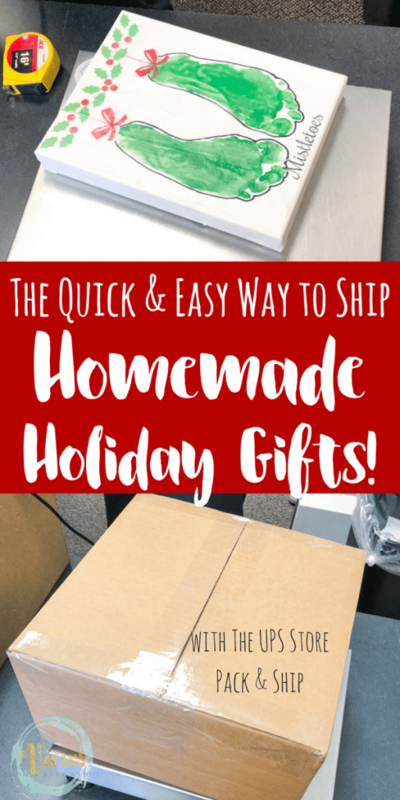 Get those homemade holiday gifts to your loved ones safely and securely, give back a little, and save yourself some time and energy this holiday season with The UPS Store!